By Glenn CollinsComing to a showroom near you for 2014: the first sport utility vehicle in its class equipped with a 9-speed automatic transmission. It’s also the first to offer a parallel-parking feature. And, in 4-wheel-drive models, the rear axle disconnects automatically, for fuel efficiency. 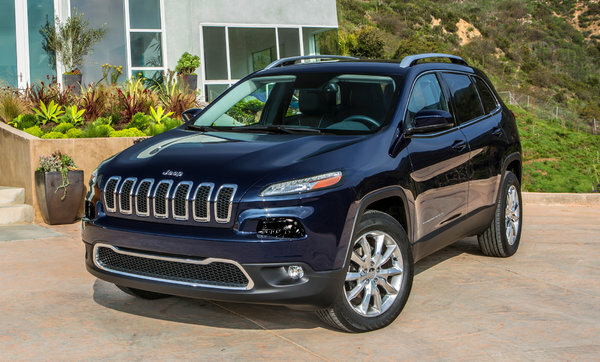 Oh, yes: its name is the Jeep Cherokee. Hold on—wasn’t that model name retired more than a decade ago? Wasn’t it replaced by the Jeep Liberty for 2002? Yet now, in a time of heightened sensitivity over stereotypes, years after ethnic, racial and gender labeling has been largely erased from sports teams, products and services, Jeep is reviving an American Indian model name. Why? “In the automobile business, you constantly have to reinvent yourself, and sometimes it’s best to go back to the future,” said Allen Adamson, managing director of the New York office of Landor Associates, a brand and corporate identity consultancy. So far, marketing materials for the 2014 Cherokee model have eschewed references to, or portrayals of, American Indians and their symbols. That’s a far cry from the excesses of past years, when marketers went beyond embracing stereotyping to reveling in it. Indeed, Chrysler’s restraint seems an indication of just how much things have changed. For decades, American Indian tribal names have helped to propel automobiles out of showrooms. Return with us now to the era when Pontiac’s sales brochures carried illustrations comparing its 6-cylinder engines to six red-painted, feathered cartoon Indian braves rowing a canoe. Or review Pontiac’s marketing copy, which proclaimed that “among the names of able Indian warriors known to the white race in America, that of Pontiac, chief of the Ottawas and accepted leader of the Algonquin family of tribes, stands pre-eminent.” Of course, the visage of the chief was appropriated as a hood ornament. Comment: This posting led to a brief discussion with a Facebook friend:My theory is that if the vehicle is any good the appropriation won't be as offensive. The Cherokee, especially the second-generation unibody one AMC and then Chrysler manufactured, was a well-regarded SUV. Meso-Americans in general, however, should still be up in arms over the Aztek. With the exception of the Studebaker Scotsman and General Motors' Viking brand, I cannot think of any non-Native American ethnicity/nationality used on any motor vehicle.Good point on the lack of other ethnicities. Cars are named for occupations (Ranger, Scout) and animals (Impala, Cougar). And Indians. "A warrior, especially among North American Indian tribes." For more on the subject, see Military Craft, Cars, and Liquor and Indian Nicknames for Military Craft. Below: "1928 Pontiac Indian head mascot."